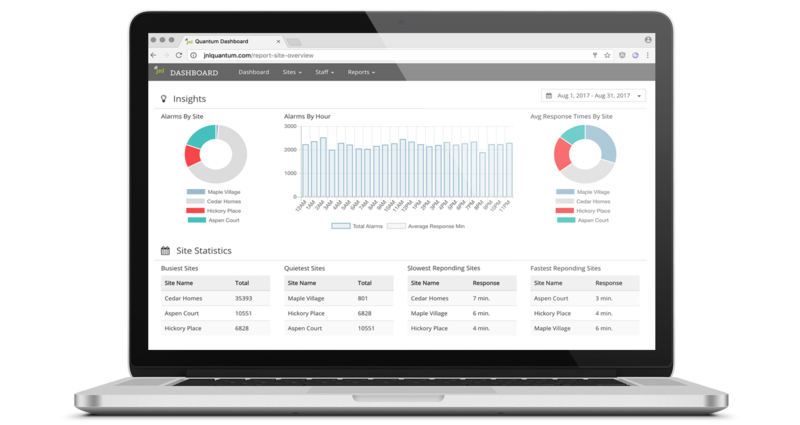 Featuring unified reporting and centralized management, the Quantum Corporate Dashboard leverages the cloud to assist with the corporate administration of multiple Quantum systems. 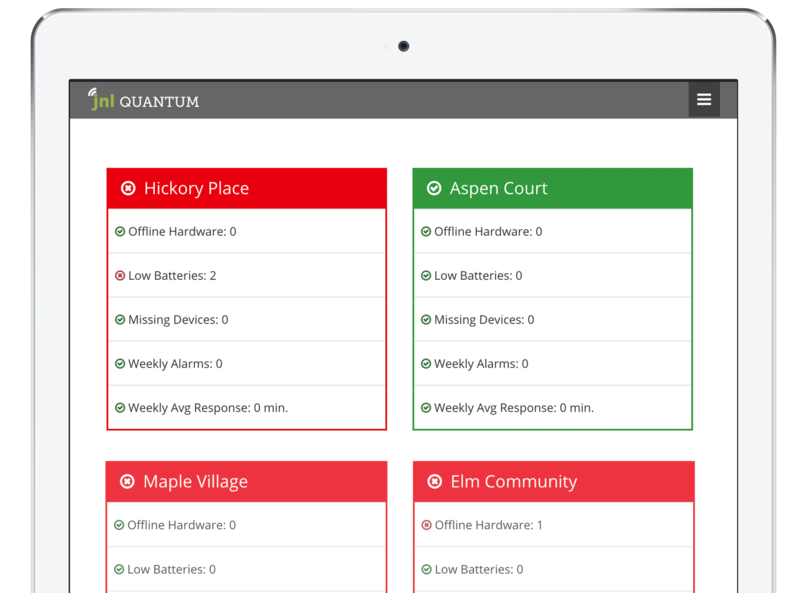 A quick-view dashboard highlights all of the systems corporate-wide and provides accountability for both resident care and system maintenance. Staff software logins and door access can be remotely managed, granting corporate staff access to multiple facilities at the same time. Want to Learn More about Quantum? Discover how Quantum Unified Monitoring can provide superior protection while simplifying operations.